Apparently, our view of ourselves and the world around us is based on our actual experiences of it. Our world expands every time we open our eyes to new learnings. Some of these are times when we experience those ‘aha’ moments, the moments where our souls respond to something that awakes it from its slumber. After this, we don’t see the world with the same old perspective again. We see it under a new light, with the guidance of something that is more powerful than our spirits and minds could fathom. If, in the olden times, these inner stirrings are limited only to people whom we call deeply spiritual, in the present day, these things are no longer seen as separate from our day to day existence. We have come into the time of the world where spirituality and science are starting to merge. Science starts to support spiritual experiences. Some of these are the following spiritual perspectives. Read on and be open to seeing the world with fresh new eyes. At the turn of the twentieth century, scientists assumed they had uncovered all the basic fundamental laws and rules that governed our existence. Quantum physics now supports the idea of a singular God. We live in a unified field of energy which interconnects everything. 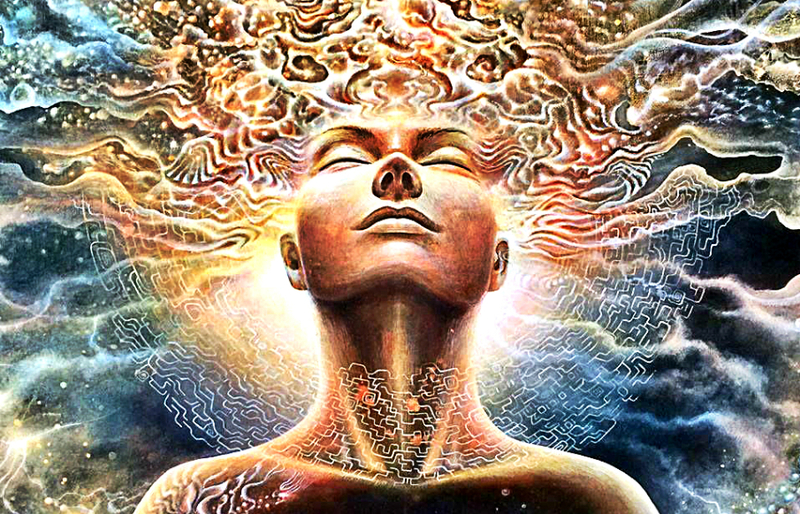 Meaning to say, every particle in the universe is conscious and evolving at a rapid rate. When we live from a place of Oneness, we will be living along the path of positive evolution. As one, we can possibly work together for the benefit of all. 2. Reality is a reflection of yourself. Whether this idea is new to you or not, but everything in your reality (persons, animals, plants, all living beings) is a holographic reflection of you. The more you change and evolve yourself, the more that reality is likely to change. For example, you’re affected by how other people treat you. As a result, you see every person as uncaring and unfriendly. But, suppose you try to see everybody as your other self, what would you feel? You’ll start to see people in a different way. Probably, you will start to care and befriend everyone who comes your way. Following your bliss or following your highest-excitement is a powerful spiritual concept. Introduced by Joseph Campbell and Bashar, following your bliss is living the greatest experiences that you can ever have. It doesn’t mean doing the things that give you more fun. What it means is following your heart’s desire of doing the things that make you grow, challenge you, lead you to the right direction, expand your consciousness, and make you great at something, which you actually are. By being excited, you’re feeling nervous but joyful and elated. When you follow your bliss, you offer the gifts you have for the world with all your energy and resources. In return, the world will give you back what you need and deserve. 4. Noticing synchronicities in your life. Synchronicity is a concept first introduced by analytical psychologist Carl Jung. This concept holds that events are meaningful coincidences, which occur with no causal relationships yet are related in some way. The most common synchronicity anyone can experience is seeing triple numbers such as 111, 333, or 555 all throughout their day. It can also be randomly thinking about someone and after a few seconds, they’re calling your number. Synchronicity is believed to be the Universe’s way of telling you that you’re being guided and reminding you of the presence of a power higher than you. Listen more closely to what your intuition is telling you when you notice these synchronicities occurring in your life more often so that you won’t be misguided by false interpretations. Even if it’s not openly discussed, but the consciousness of people in our present world is awakening and expanding. More and more people have become fully conscious and start to focus their energy and time to their evolution. As the people evolve, so is the acceleration of technology. It has become more sleek, simple, compact, and concise. With meditation practices that are slowly recognized, looking inward is starting to become a trend that can also be seen in virtual reality gaming. While our inner world is still a territory that isn’t fully conquered, technology is starting to take part in its evolution. There is still more that technology and spirituality can do in understanding more of our existence. With that, let us remain open to whatever realities that will unfold before eyes.